The property consists of four contiguous lots on Walnut Hill Lane containing 1.65 acres. Each lot is approximately 18,000 square feet. The lots are on the south side of Walnut Hill and face due north just east of Preston Road. Site plan shows a separate street divided by a 48” brick wall from Walnut Hill and creating a private enclave named Walnut Place. Legendary architectural firm of Cole Smith. Mr. Smith has done a preliminary study too of how to develop the lots. Mr. Smith has designed some of the premier homes in Dallas, included the estate of Jerry Jones, the Lacerte estate and many, many others too numerous to list here. Mr. Smith has also designed some extraordinary commercial work including the Eulich Family office building on Cedar Springs, Cedar Maple Plaza and the entrance to AT&T Stadium. Mr. Smith has received many national and international awards for excellence in Architecture. The lots would also make a great location for a modern enclave of 4 contemporary style homes. Dallas has many great contemporary architects such as Lionel Morrisson, Cliff Welch, Ron Wommack, Todd Hamilton, Gary Cunningham, Joe McCall and Mark Domiteaux to name but a few to draw inspiration from. Either a modern or more classic point of view will work well in this central Preston Hollow Location. The site would be an ideal location for four 5500 square foot modern homes with pools. Each home will have approximately 5,500 square feet with unique elevations, not found in most spec homes. Each will have open floor plans, master down stairs, and unique custom features and finishes, top of the line appliances and true architectural proportions. Each home will have a his and hers master bath and huge closets. Each secondary bedroom will have its own bath. Each house will have outdoor spaces attached to the home and will include professional designs for large full-size pools and other outdoor activities. Each elevation will be different, but will each appear to look like they are blended in a unique and exclusive enclave. 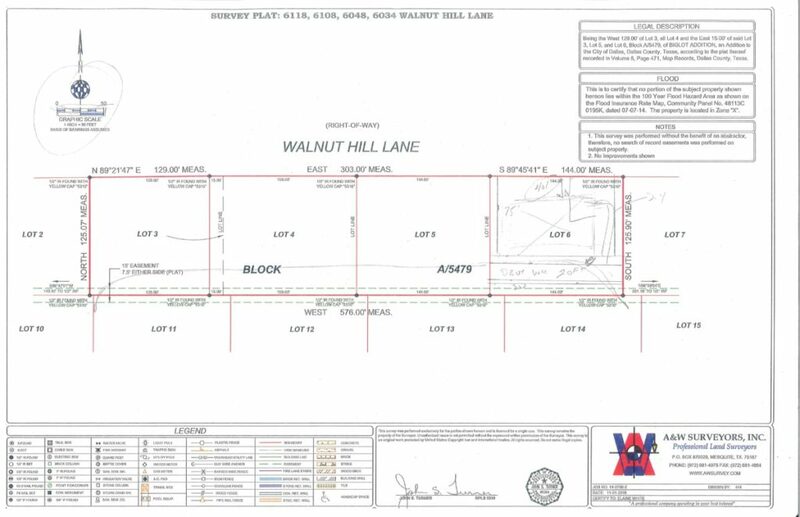 Because Walnut Hill is a thoroughfare road, the developer will install a private road in front of the homes. One foot off Walnut Hill will be a city standard side walk and on the other side of the side walk will be a 48-inch tall decorative wall to hide the visibility of the homes from Walnut Hill. The road will be 20 feet wide and provide additional parking in front of the homes. Survey of the 4 lots approximately 18,000 square feet each. The lots are on average 144’ x 125’. 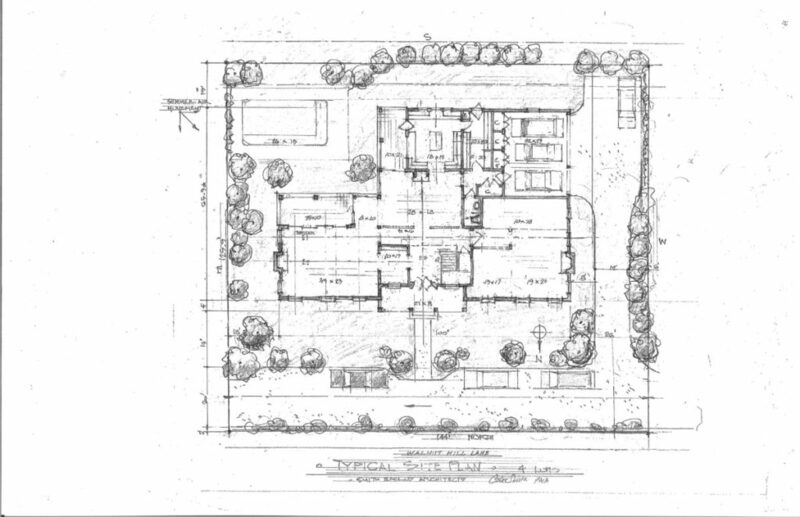 Possible site plan for one of the homes. Each home would be approximately 5500 sq. ft., has a 3 car garage and a pool. The front of the home is set back 44’ from the street. Contact Bill Griffin fore more details: bill@bgremail.com / 214.476.4253.